Maria Pikoula has appeared as a soloist, recitalist and chamber musician and in a wide variety of settings in Europe, North America and Russia. She gave her official solo debut at New York's Carnegie Hall sponsored by Artists International Presentations. In the past few seasons Maria Pikoula has performed in Lisbon, Boston, New York, London and Athens and has been featured as soloist with the Liepaja Symphony “Amber Sound” Orchestra, the oldest orchestra in the Baltic States. She has performed at the Kennedy Center and has been a featured artist at the Hellenic Consulate in New York and the Hellenic Embassy of the United Nations in addition to giving a special gala performance for Greece's Ambassador to the United States. She has recently performed in the beautiful Sala dos Espelhos at Lisbon’s historic Palaçio Foz in Portugal. Maria's debut solo CD, Variations & Inspirations, was released in November 2016, featuring works by Mozart, Brahms, Schubert-Liszt, Jacques Hétu and Constantine Caravassilis. She has also recorded for the ANTARA project in London, UK and her performances have been broadcast on both Greek and Canadian radio. She has been honored as a recipient of a number of accolades and awards in national and international competitions. These include the Artists International Presentations Special Prize, the Joyce Dutka Arts Foundation Award, First Prize at the GWUC National Music Competition in Chicago, the Hellenic American Women's Music Award, and First Prize and Gold Medal at the Greek National Competition. Maria’s academic distinctions include the W.O. Forsyth Memorial Award, the Manhattan School of Music Merit Scholarship, as well as the Eleni Gatzoyiannis, John Silber and Richmond Awards. In 2001 Maria was inducted to the Golden Key International Honour Society. 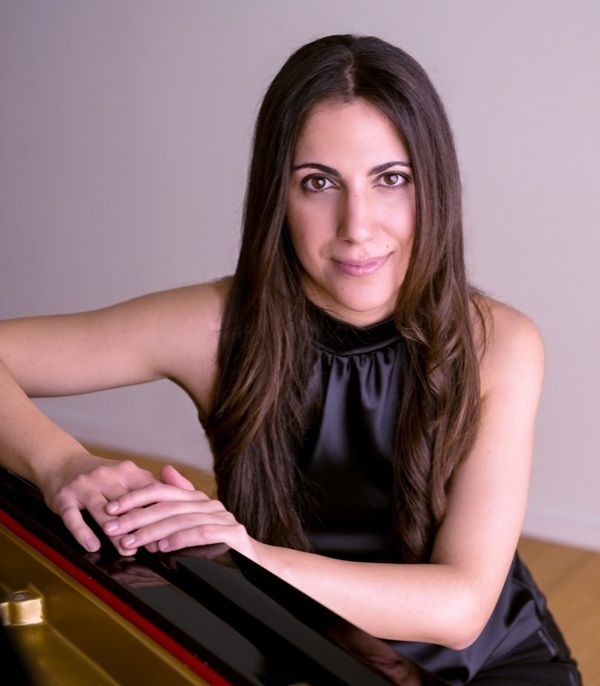 Maria Pikoula holds a Doctor of Musical Arts degree in Piano Performance from Boston University, where she studied with Anthony di Bonaventura on full scholarship. She received her Master's Degree in Piano Performance from the Manhattan School of Music in New York under Arkady Aronov and her Bachelor's Degree with Honors from the University of Toronto under Boris Lysenko.